Winter can be rough. While its onset can have us feeling like giddy little children with the romantic nostalgia of snow, holiday movies, hot chocolate, and cozying up by the fire, those feelings may surely be gone by February after the holiday cheer has passed and the cold weather keeps lingering. If you find yourself with the “Winter Blues,” you’re not alone. Nearly 10 million Americans suffer from Seasonal Affective Disorder or SAD. 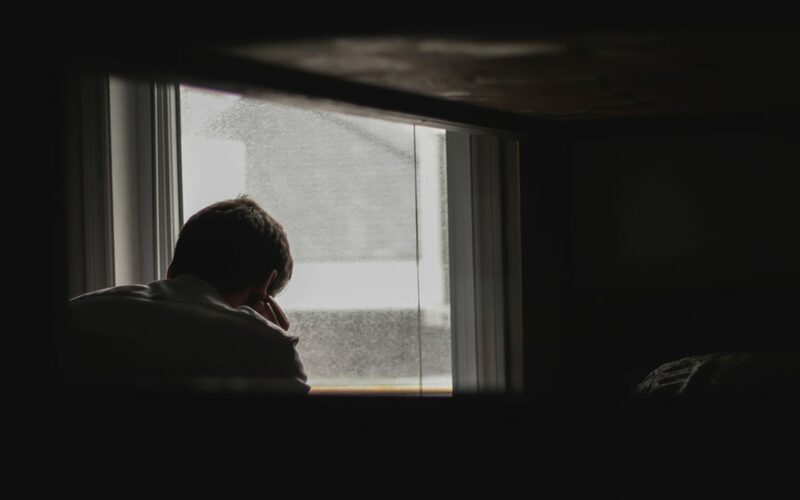 While some cases are more severe than others (please don’t hesitate to seek out a professional for help if you’re experiencing ongoing depression), most of us oftentimes need a little extra encouragement during this time of the year. While self-care doesn’t cure sadness, engaging in certain practices can help pull you out of a funk. Here are seven ways to help you get through the Winter Blues. For some reason, it’s easy to forget that life is in seasons and that nothing lasts forever. Ecclesiastes 3 addresses this, highlighting the bitter-sweet reality that time is a double-edged sword, giving both occasions to mourn and dance, love and hate, plant and uproot. The cold and dreary winter months tend to be a time of reflection upon this truth as we find ourselves bidding farewell to the current year and welcoming in the new one. Oftentimes, this can leave us feeling frustrated about missed opportunities or anxious about future desires. While this is all a part of life, it’s important to remind ourselves of the poet’s wisdom, acknowledging the richness of life’s experiences in each season and remembering that God is present in all of it. Depending on where you live, it can be hard to see, touch, or smell the earth around you. Whether it’s because of the snow, gray skies, or the less than lively plants reminding us of our longing for spring’s promise of new life, winter can make the earth feel dreary and dead. Forgetting that life is still happening around us can take a toll on our mental and emotional state because the truth is: we belong to the earth as part of God’s creation. Engaging with creation is part of the richness of life. So, if you’re feeling disconnected, take any opportunity you can to experience life when you see it. Are the birds chirping outside? Take a moment to listen. Caught deer hanging around, grazing? Appreciate them. I know going for a walk may seem like a daunting task when it’s cold outside but try and pick a warmer time of the day to take in the fresh oxygen so freely given to us by the trees outside. Weird things happen to your body during winter. For example, you build up “brown fat” to keep warm, release more stress hormones, experience dehydration more easily, and are more susceptible to migraines due to lower intakes of Vitamin D.
Not to mention your muscles tend to tighten because of the cold and things like asthma and arthritis can be aggravated. Winter can be tough on the body, so be easy on yourself and pay attention to your needs. Is it an extra hour of sleep? Take it. Are your muscles feeling tight? Enjoy a warm bath. Is the sun shining? Get yourself some Vitamin D.
Need to burn some calories? Do some jumping jacks. And don’t forget to drink lots of water and take supplements as needed! This is age-old advice, but sometimes it’s a necessary reminder. We’re often told to practice being grateful by keeping a journal or praying, but I say that we should take it a step further and actually embody gratitude. Is there a specific way you’ve wanted to show someone you’re thankful for them? It can be writing a personal letter, getting a gift basket together, or making a simple phone call. Is there a cause that you feel passionate about that you can volunteer some of your time to? The holidays can be overwhelming and feel consumeristic, but being intentional about engaging in a “gratitude detox” by paying it forward can be helpful. It can be hard to get ourselves motivated when we’re feeling down. This can especially be true when it comes to our “quiet times” with God. If you find yourself in this rut, it might be helpful to engage in creative ways of prayer and Scripture reading. One option is Lectio Divina, or Divine Reading, in which you read a specific passage of Scripture multiple times, engaging in meditation, response, and contemplation. Another option is the Ignatian Prayer in which you read passages of Scripture and visualize yourself in the story, engaging all five of your senses. Similarly, the Examen prayer is an imaginative way in which we reflect upon the events of the day in order to detect God’s presence. There are dozens of other ways to engage in creative worship, so try different ones to see which works for you. Also, consider following the Revised Common Lectionary for 2019 to help you engage with specific passages of Scripture! Experts say that keeping your mind active with a new interest helps to ward off some of the Blues. So, besides getting creative in your worship, allow yourself to take advantage of the extra time you’ll be spending indoors and take on some creative activities you’ve wanted to do! This can not only help you feel better but perhaps give you an opportunity to embody that gratitude by creating something for someone else. Is there a new recipe you’ve wanted to try? A space you’ve wanted to declutter? Or a DIY project you’ve wanted to do? Enjoy tackling one (or all)! You may feel inclined to spend more time alone during the winter months, but experts say that spending time with friends and loved ones can have a positive impact on your mood. It’s also important to be open and talk about how you’re feeling with trusted people in your life because chances are, they’ve felt or are feeling similarly, and you can help each other along. So, plan a movie outing or invite a couple of friends over for some tea. It can also be helpful to ask a family member to check up on you and encourage you to keep social. Again, if you’re struggling with ongoing depression, it is important to speak to a professional.